I am still playing with my latest radio acquisition: an Eton Grundig Executive Traveler. 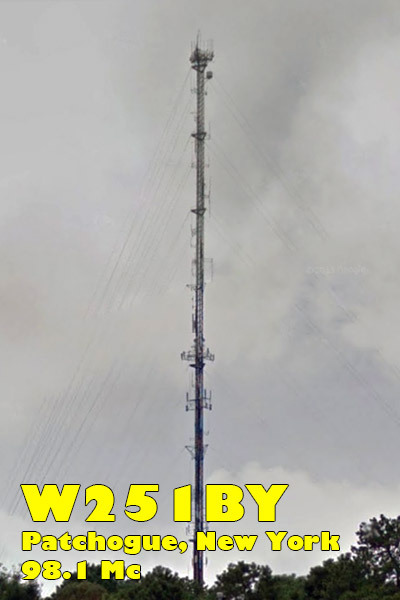 Some commenters claim that the radio is not the most sensitive FM radio, but I managed to work a new station on FM using the Traveler: W251BY on 98.1 MHz from Patchogue on Long Island transmitting 250 watts 54 miles to the south-southeast. My opinion the Traveler is sensitive on FM, but could be more selective. 1. Short press the VF/VM STEP button until the display reads "PRESET"
2. Use the TUNING control to select the saved preset channel. Easy enough once you know how!